Apply amazing photo editing effects with Faceover. The iOS app lets you edit any image from your photo library and then save or share the edited photo. The app was designed to quickly and easily create high quality effects by copying, pasting, swapping, flipping and rotating portions of your photos. 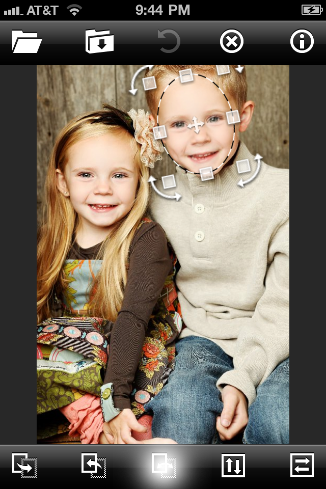 It's simple to use and the results are realistic and hilarious. Get photos of your friends and swap their faces. Copy the eyes of a celebrity and paste them onto your own face. Paste the dog's face over everybody in the family portrait. Or even do more serious photo editing by copying a happy little Timmy from another photo into the family portrait where everyone else is smiling. The possibilities are endless but be warned--this app is both addicting and entertaining. You'll soon be trying to Faceover everyone you know! 1. Open a photo from your library by tapping the folder button in the upper left corner. 2. 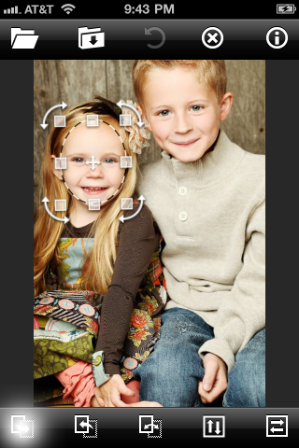 Position the selection oval over a face and tap the Copy button. 3. 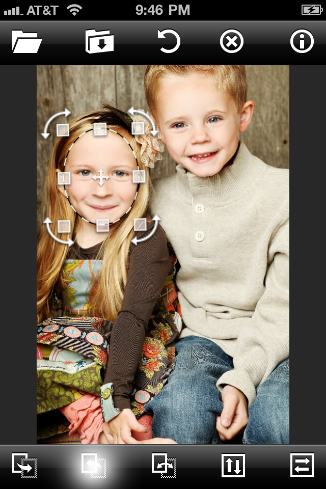 Position the selection oval over another face and tap the Swap button. This will swap the image from the photo with the image in the selection oval. 4. 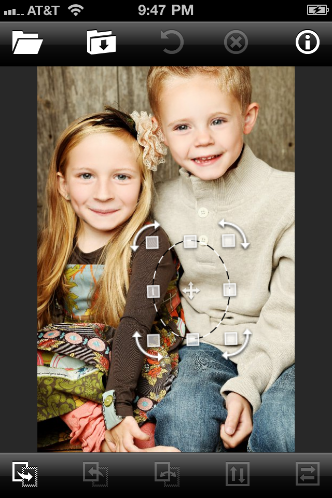 Next, position the selection oval over the original face and tap the Paste button.